Miner Family Winery is a dynamic, family-owned winery tucked along the eastern hills of the Oakville appellation in the heart of Napa Valley. Founded in 1998 by Dave and Emily Miner along with his parents, Ed and Norma, Miner makes reserve style wines using fruit from Napa Valley and other specially selected California vineyards. 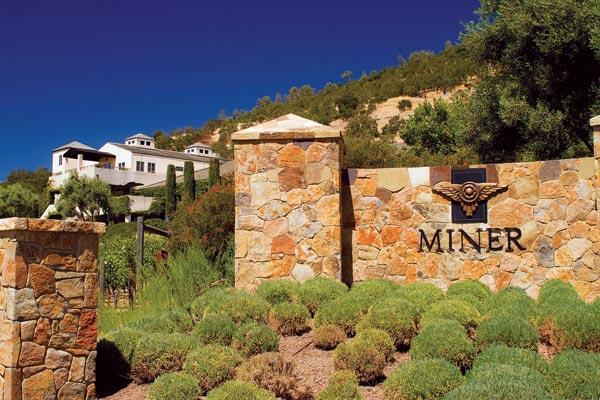 Well known for a powerhouse collection of red wines, Miner's portfolio is lead by The Oracle, an elegant Bordeaux-style blend, and the classic Miner Oakville Cabernet Sauvignon. Miner wines are crafted to reflect the pure clarity of the varietal while capturing the essence of the vineyard. Loaded with rich ripe fruit and spice notes with touches of tasty oak, this Merlot has a nice grip from fine tannins on the lengthy finish.